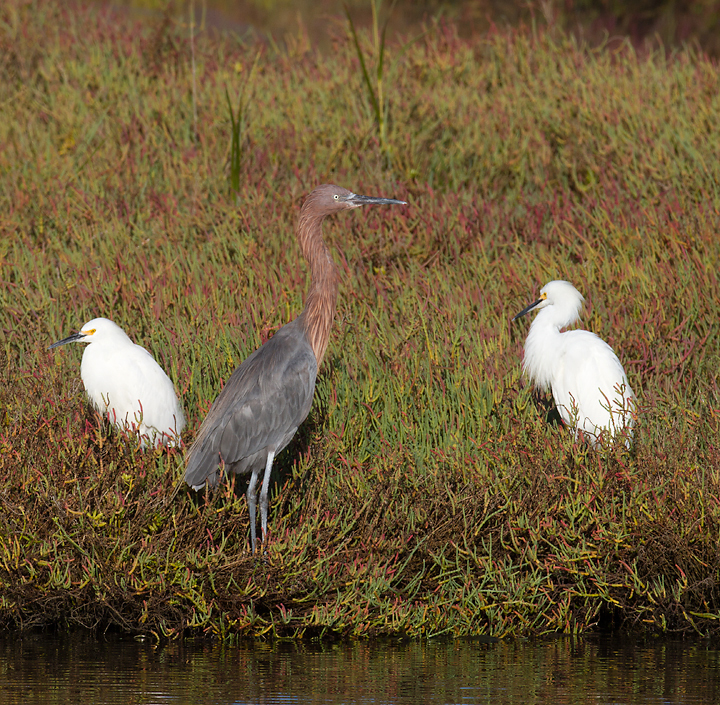 October in Southern California - Page 3. 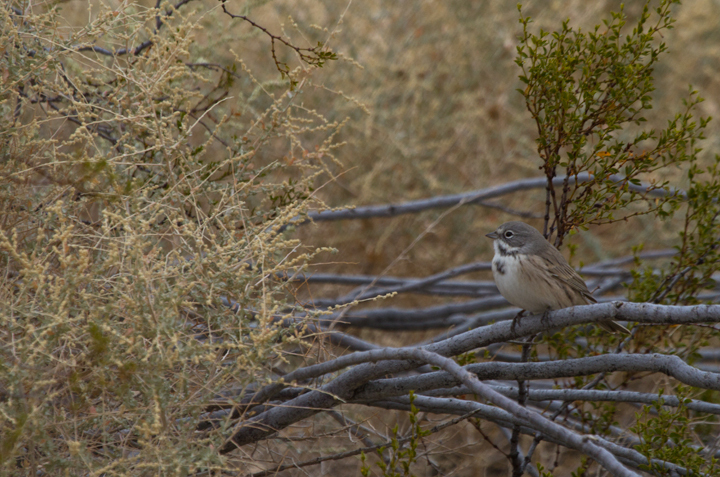 Last updated: 10/29/2011. 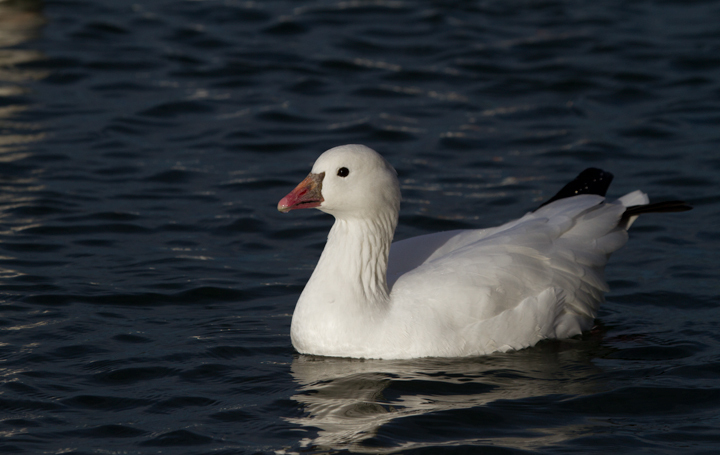 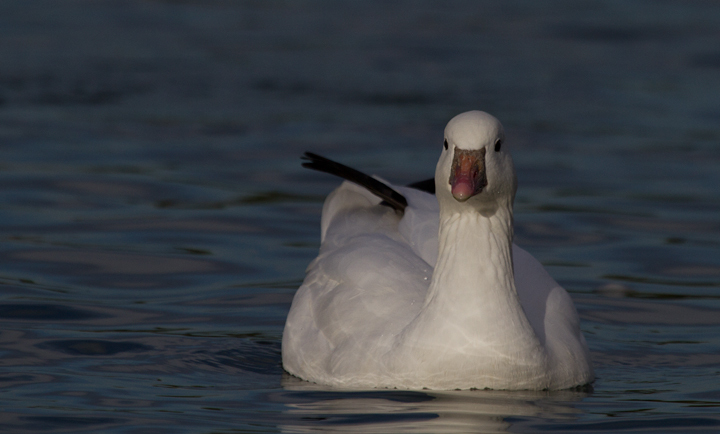 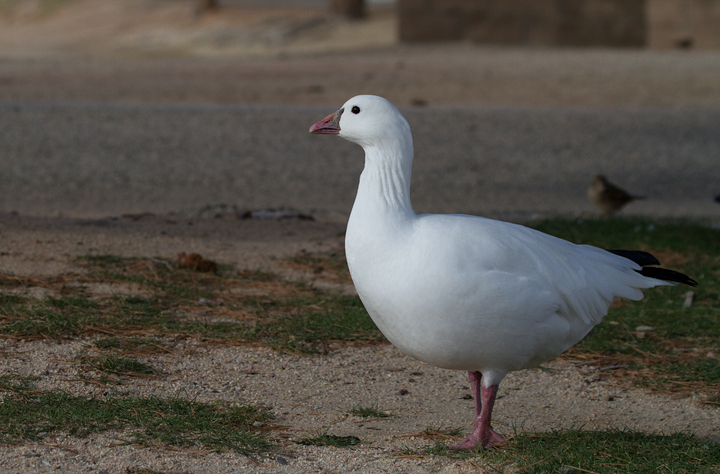 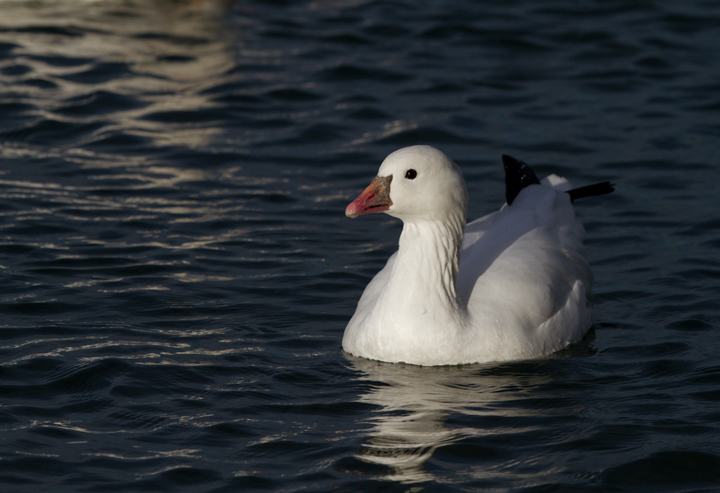 Above and below: A Ross's Goose at Apollo Park, California (10/4/2011). 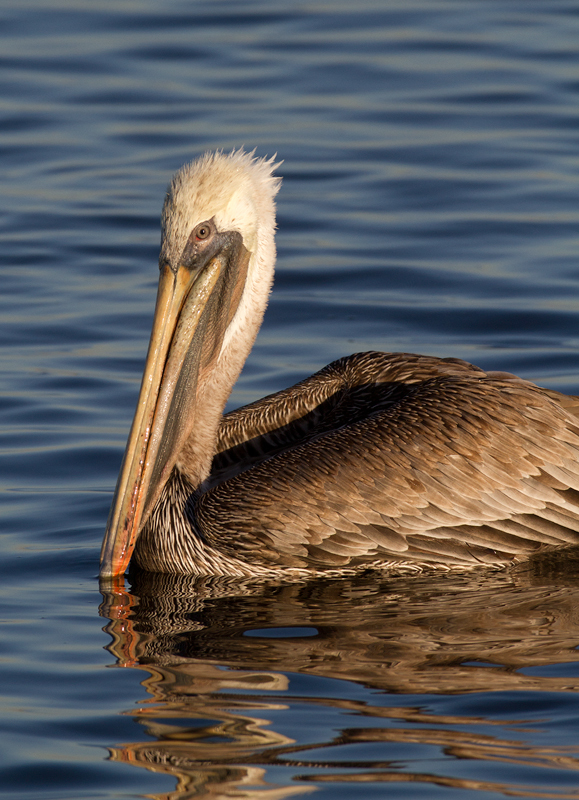 Below: A Brown Pelican in the morning sun at Bolsa Chica, California (10/6/2011). 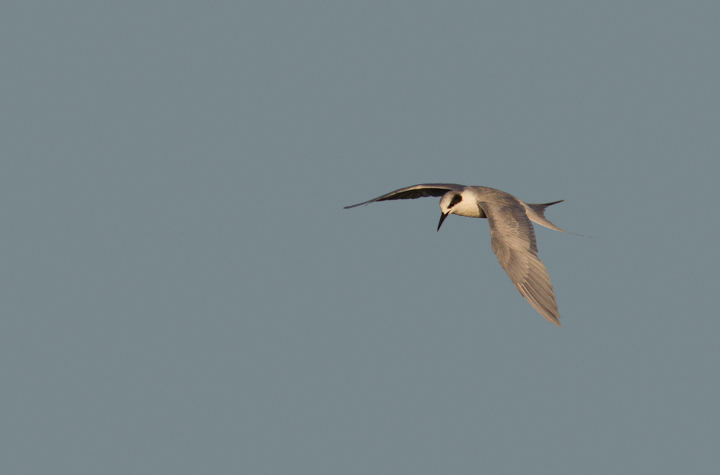 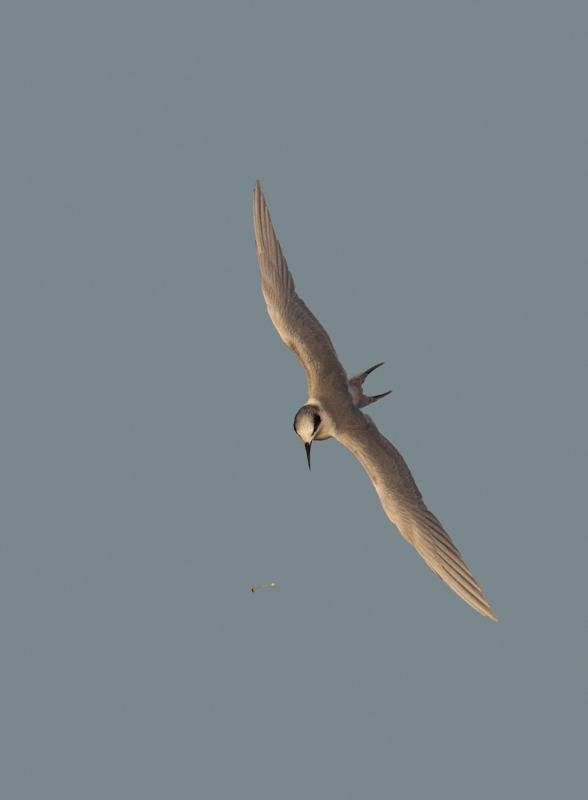 Below: A Forster's Tern at Bolsa Chica, California (10/6/2011). 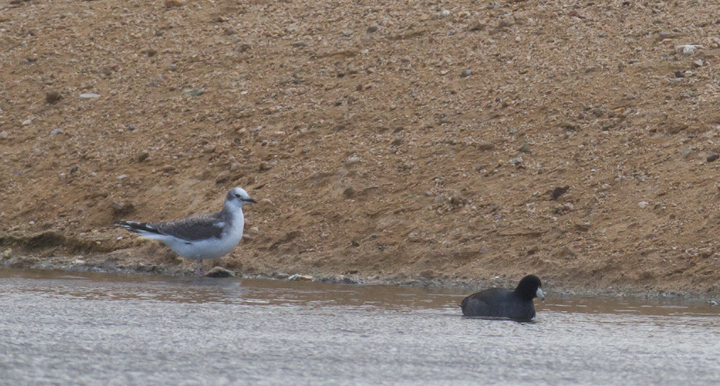 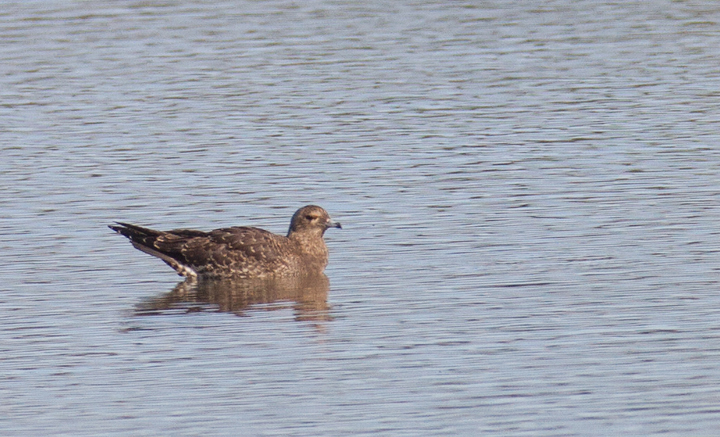 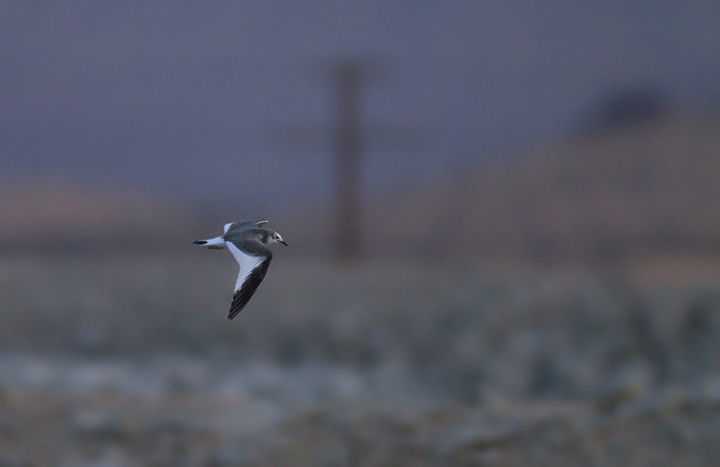 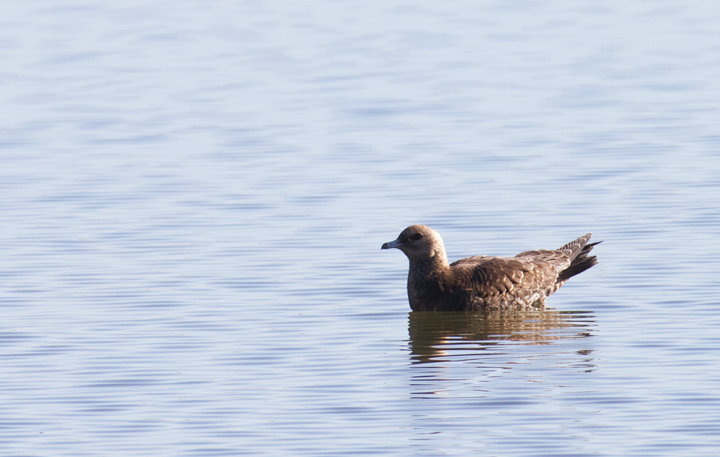 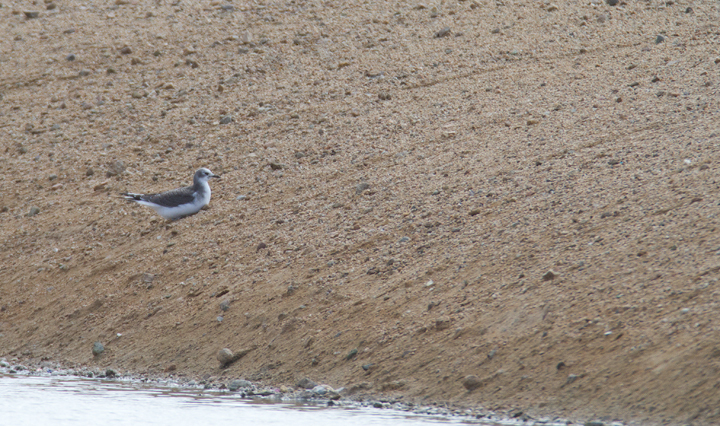 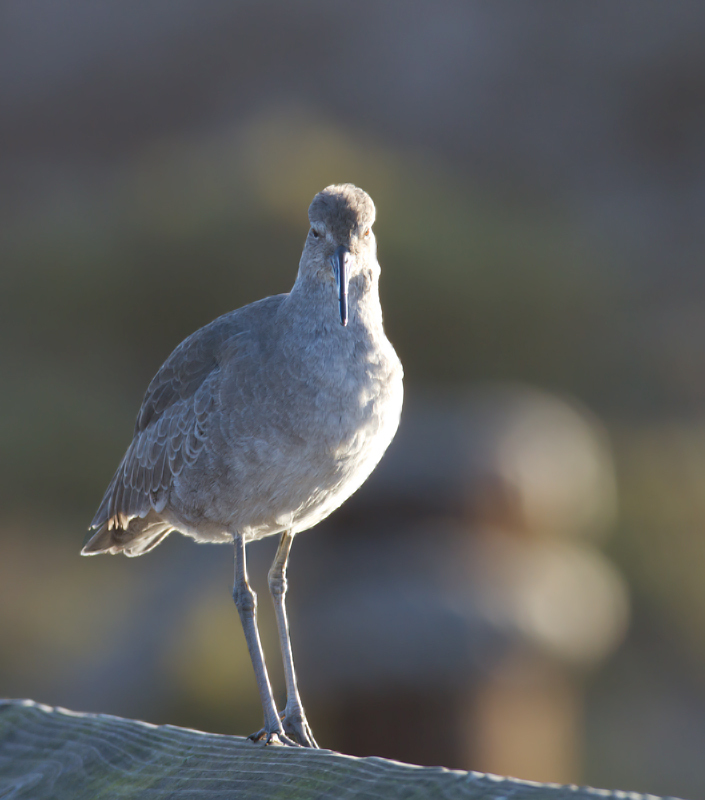 Below: An unexpected Parasitic Jaeger roosting at Bolsa Chica, California (10/6/2011). 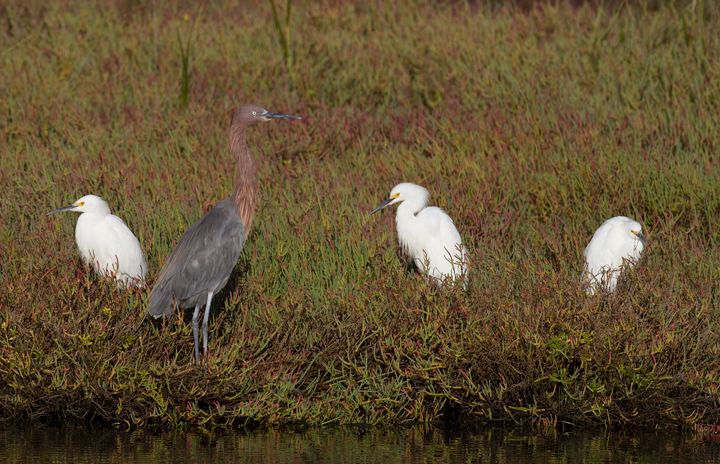 Below: One of three Reddish Egrets at Bolsa Chica, California (10/6/2011). 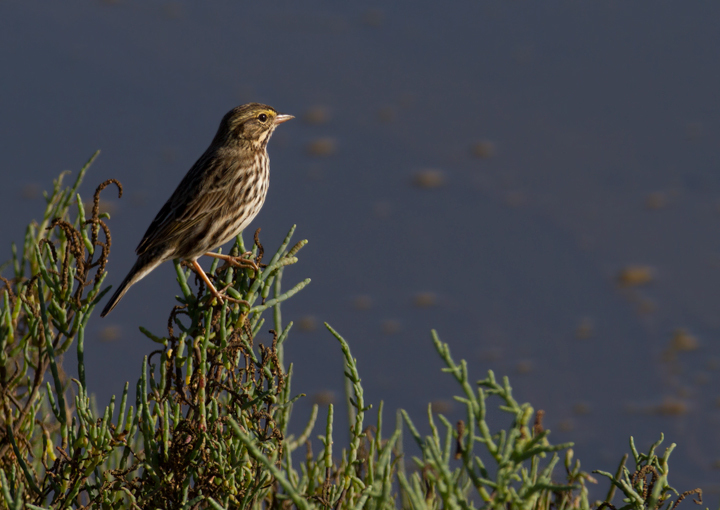 Below: A Belding's Savannah Sparrow at Bolsa Chica, California (10/6/2011). 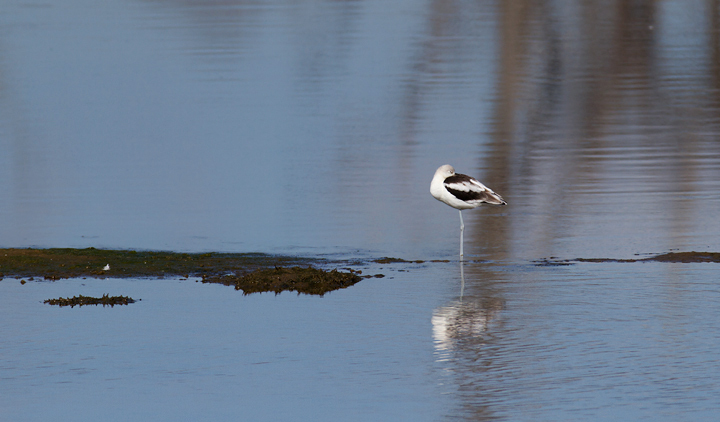 Below: A roosting American Avocet at Bolsa Chica, California (10/6/2011). 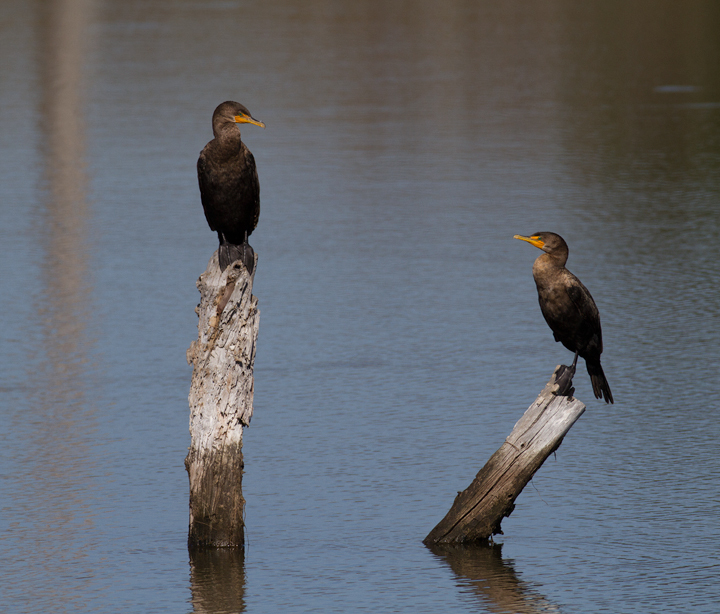 Below: Double-crested Cormorants exchange a knowing glance at Bolsa Chica, California (10/6/2011). 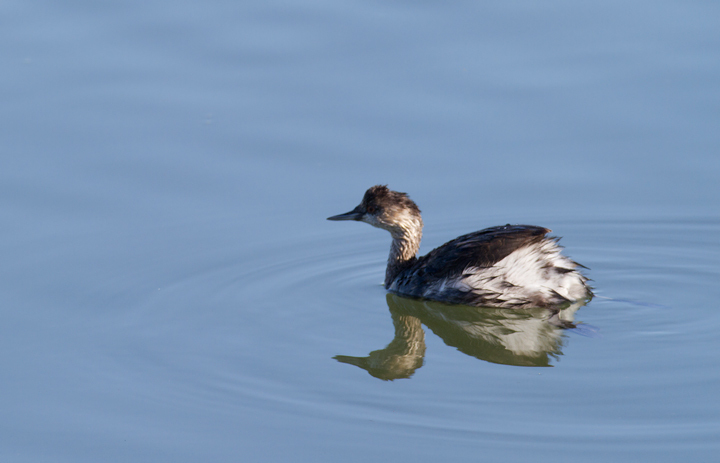 Below: An Eared Grebe at Bolsa Chica, California (10/6/2011). 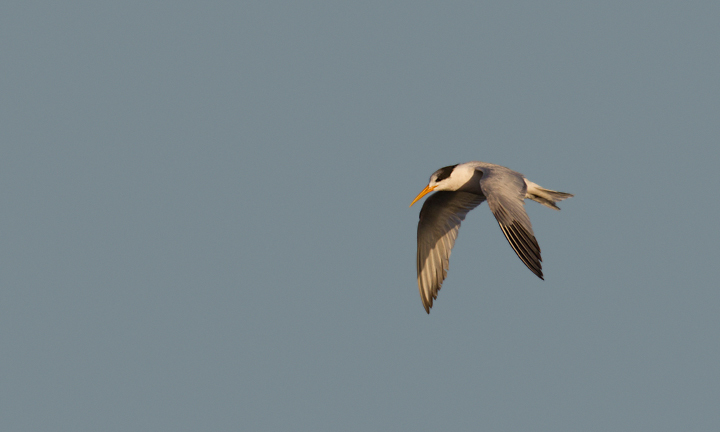 Below: An Elegant Tern in flight at Bolsa Chica, California (10/6/2011). 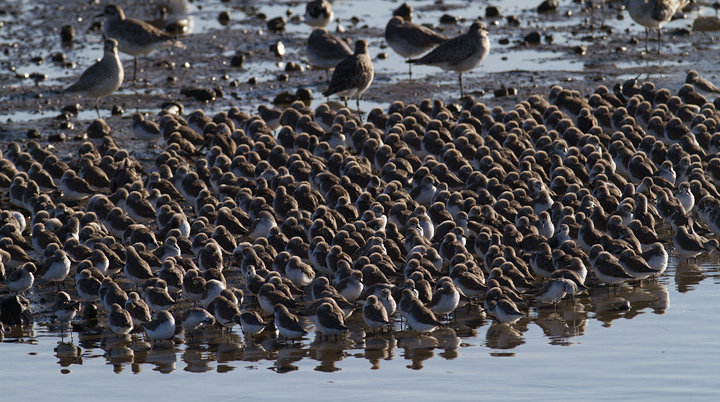 Below: Part of a major gathering of Western Sandpipers at Bolsa Chica, California (10/6/2011). 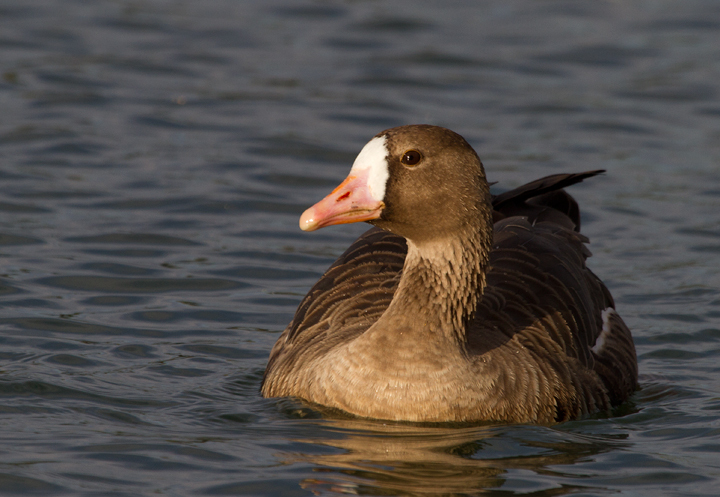 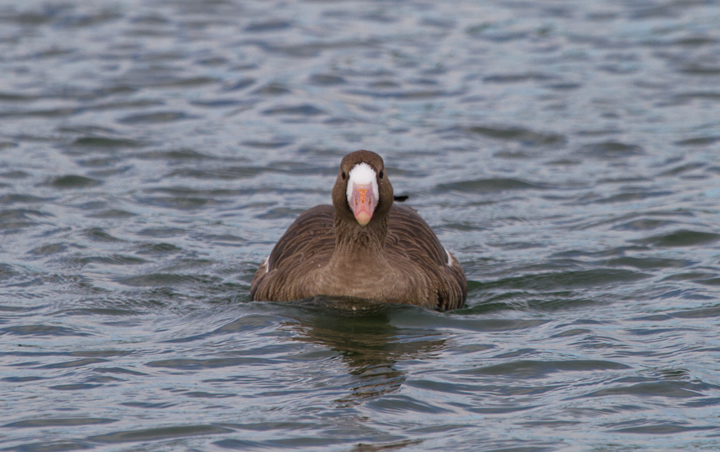 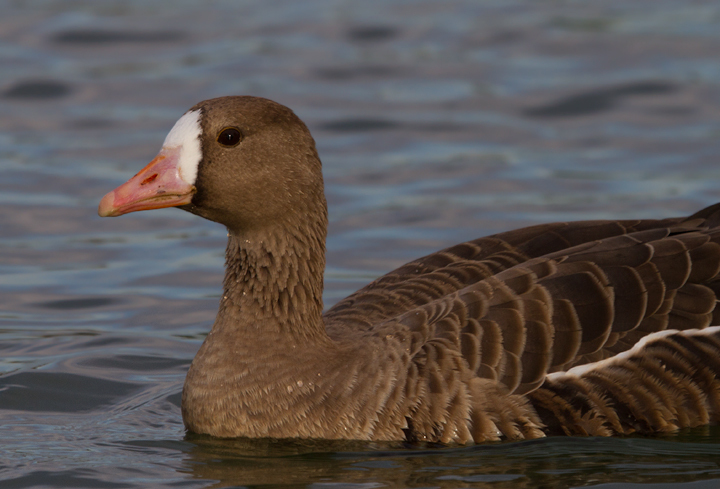 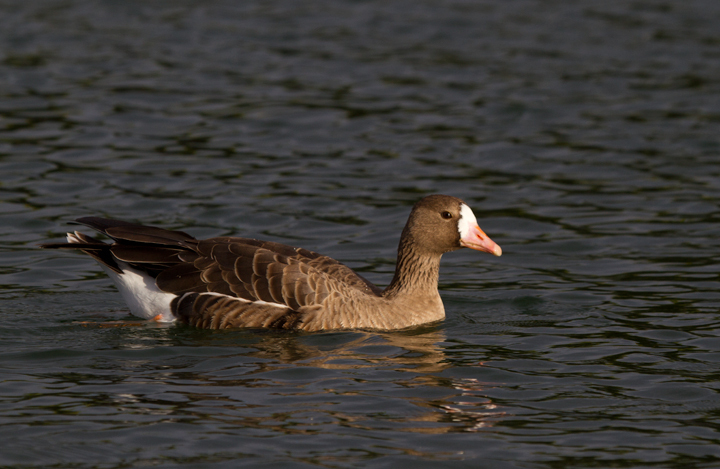 Below: A western Greater White-fronted Goose in eastern Los Angeles Co., California (10/4/2011). 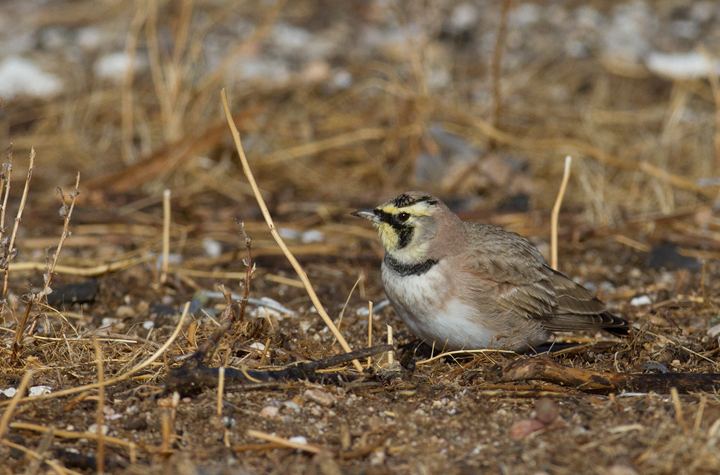 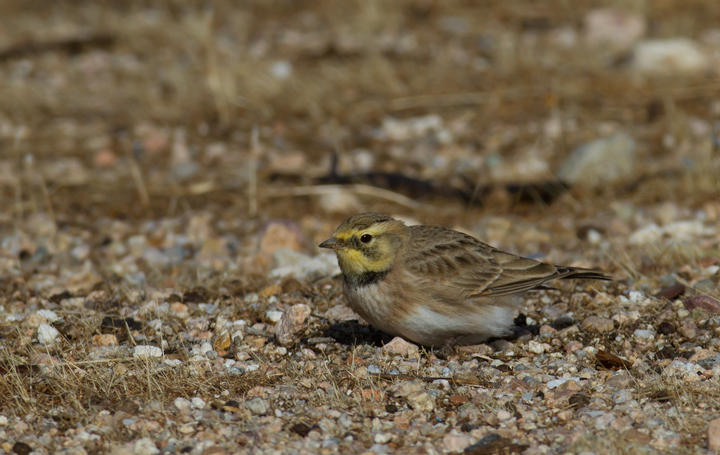 Below: Horned Larks near Mojave, California (10/5/2011). 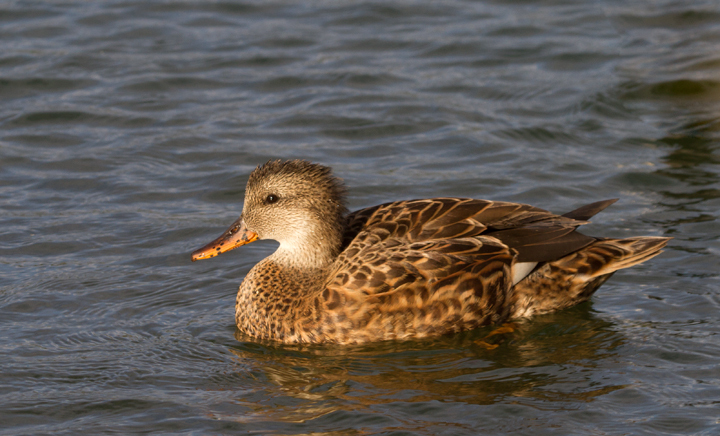 Below: A Gadwall in eastern Los Angeles Co., California (10/4/2011). 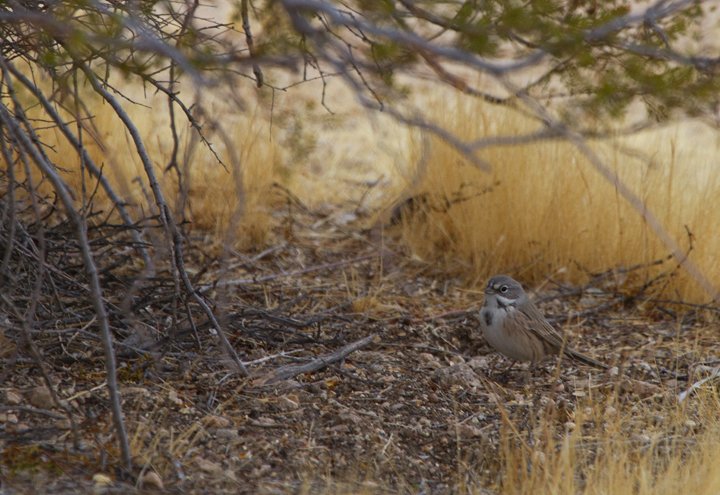 Below: Sage Sparrows (canescens) at Galileo Hill, California (10/5/2011). 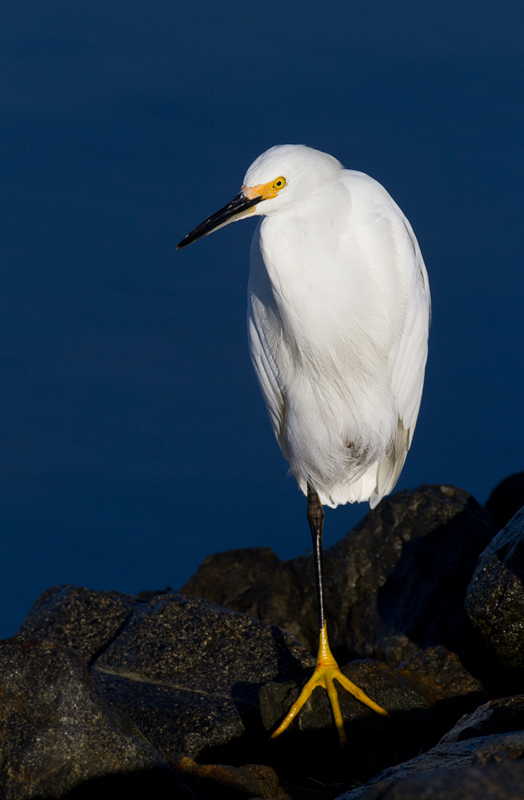 Below: A Snowy Egret at Bolsa Chica, California (10/6/2011). 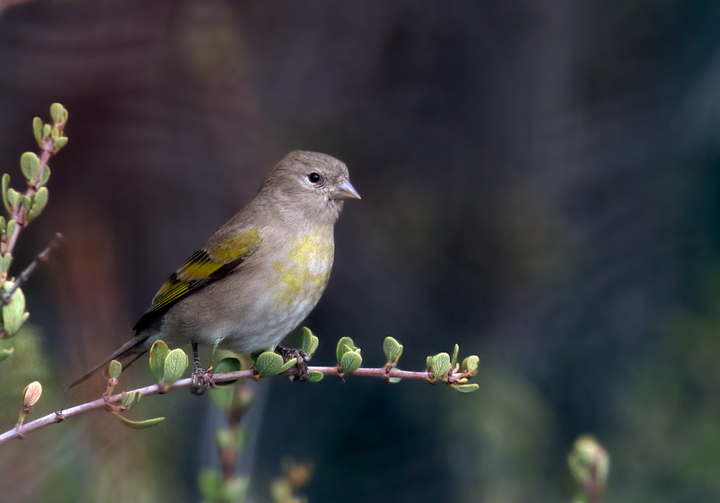 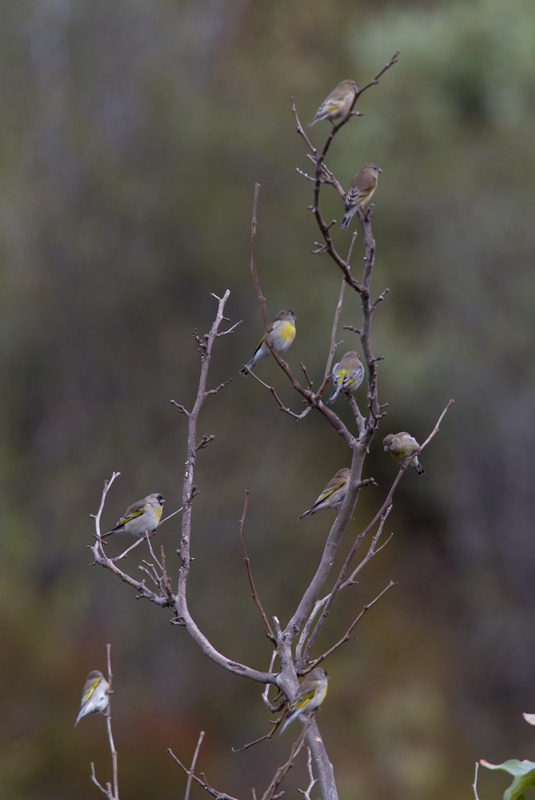 Below: Some of the 120 Lawrence's Goldfinches we found near Hughes Lake, California (10/4/2011) - unforgettable! 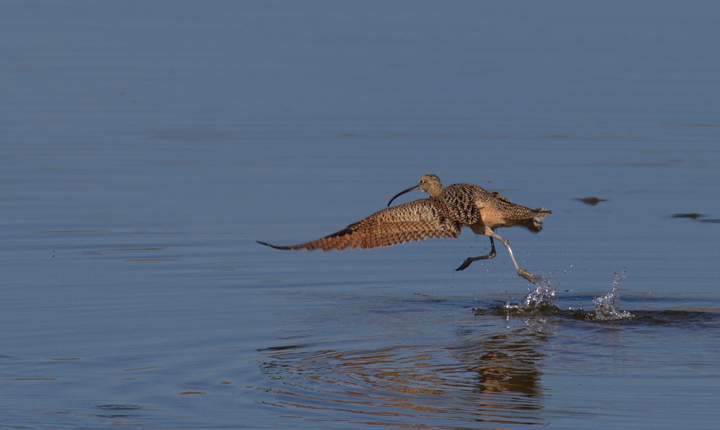 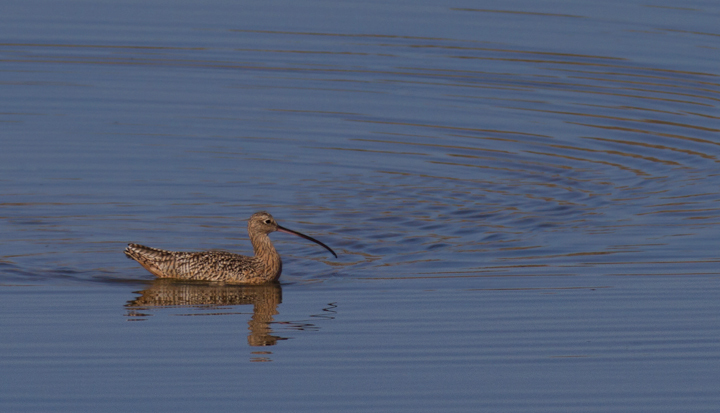 Below: A Long-billed Curlew at Bolsa Chica, California (10/6/2011). 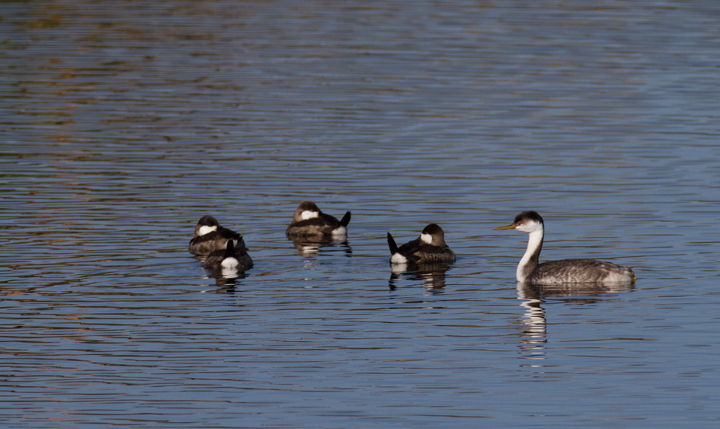 Below: A Western Grebe hanging out with Ruddy Ducks at Bolsa Chica, California (10/6/2011). 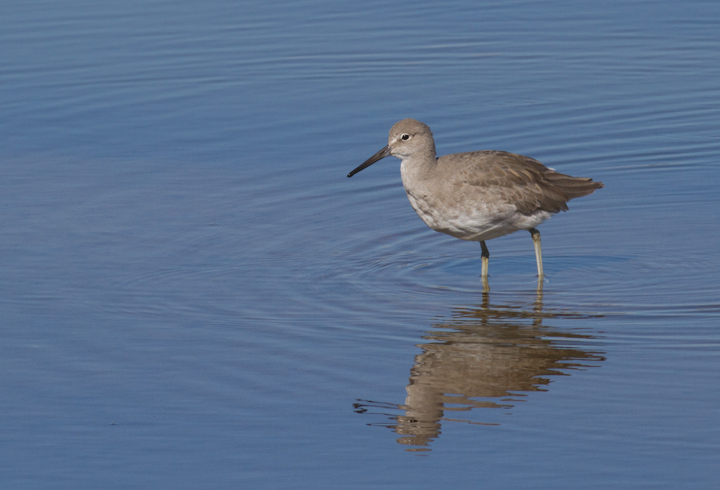 Below: Western Willets at Bolsa Chica, California (10/6/2011). 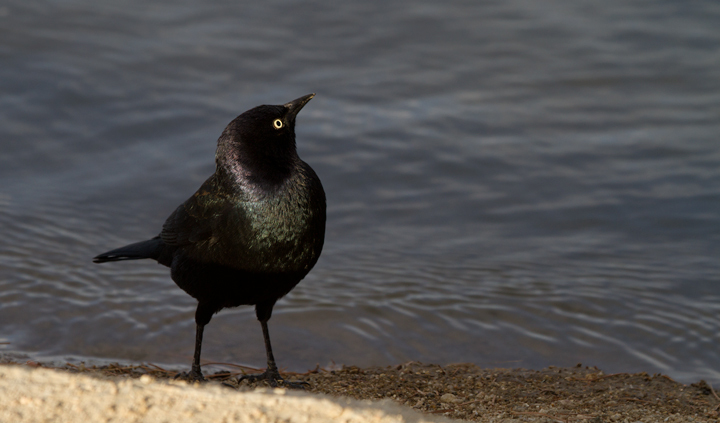 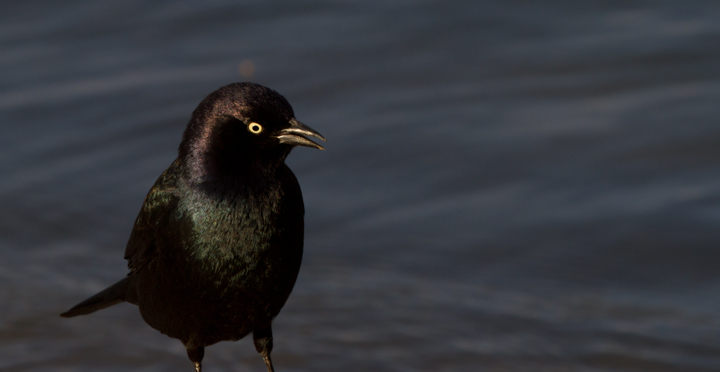 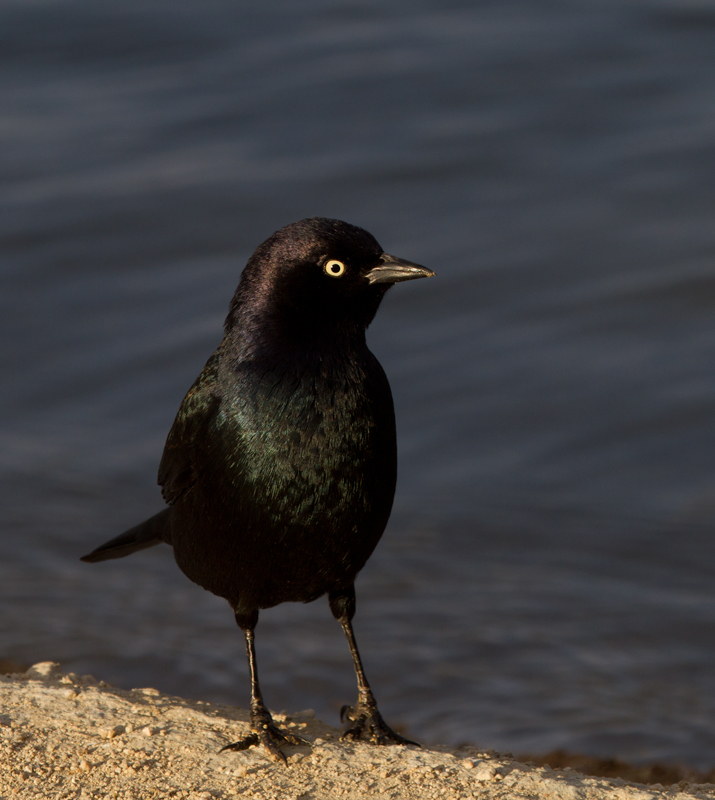 Below: A male Brewer's Blackbird struts for the camera at Apollo Park, California (10/4/2011).